ATAC Solutions’ staff took a journey to the depths to experience working in a sewer environment. It was part of a Confined Space Training course held at the wastewater specialists’ premises in West Farleigh, near Maidstone. A two-tiered mobile unit, which featured a configurable tunnel labyrinth, was hired to replicate oxygen-deficient, belowground conditions. It’s estimated at least 15 people are killed in the UK each year whilst working in confined spaces. Many deadly gasses lurk underground which make sewer cleaning and maintenance a particularly hazardous occupation. Exposure to sewage or its products can also result in a number of illnesses including hepatitis, gastroenteritis, diarrhoea and vomiting. During ATAC’s confined space training exercise, which was run by ESS Salesforce, staff were shown how to wear a gas mask correctly due to the deadly fumes present in sewers. They also learnt to read volumes of noxious activity via a gas monitor. For their belowground training, teams entered the mobile unit in pairs. The facility consisted of 44 metres of configurable tunnel labyrinth, three access points allowing horizontal and vertical entry and exit, as well as LED and emergency lighting. Staff were required to search for certain lights and via radio, relay gas readings to an ‘outside’ team. As part of the exercise, an alarm sounded to indicate teams had entered a ‘vulnerable situation’, requiring staff to wear gas marks and make an emergency exit. Formed in 2007, ATAC is one of the leading environmental engineering companies in the UK contracting to both domestic, and blue-chip companies throughout the UK. The company has maintained a zero on-site incident record during its 10-year operation. ATAC Solutions has increased its capacity as a UK wastewater treatment specialist by adding a top of the range Jetvac tanker to its burgeoning fleet. Capable of carrying 3,200 gallons of wastewater, it will enhance the company’s customer service provision throughout southern England and London and enable its teams to provide fast response and recovery to its domestic, commercial and blue chip clients. The Jetvac has been specifically built to ATAC’s specification from stainless steel to guaran-tee its long-term operational effectiveness. Its availability will be particularly vital in southern England as the area is experiencing lower-than-average rainfall, with the unbroken dry spell resulting in hard, unyielding ground – ideal conditions for flooding in the event of a sudden, prolonged downpour. The Jetvac comprises a function that enables the user to vary the amount of clean water and debris carried in the tank. As well as a superb vacuum facility, the tanker features a powerful jet feature, capable of releasing 153 litres of water per minute at a pressure of 130bar. This makes it ideal for cleaning treatment plant facilities such as sewerage pipes and interceptors. ATAC Solutions’ tanker fleet collects hazardous and non-hazardous liquid which is potentially harmful to the environment and local community. Its 24-hour emergency maintenance hot-line offers round-the-clock reassurance to a number of assigned independent industrial, commercial and domestic sites throughout Kent, Sussex and London. Wastewater treatment specialists, ATAC Solutions, provided an innovative solution to ensure complex repairs to a failing sewerage plant were completed without disruption to a tranquil area of countryside. Its engineers were called to an area of outstanding natural beauty in the New Forest, location of a sewage treatment works owned by Southern Water. The site, which is adjacent to an idyllic river walk between Beaulieu village and Buckler’s Hard, required refurbishment to maintain its long-term reliability. With the plant’s units situated at ground level or below to minimise visual impact, engineers faced a challenge in rectifying the problem without causing unsightly disruption. The site, built to serve a population of about 250 people, compromised underground septic tanks, a lift pumping station and a flow-split chamber which channelled flow towards a Rotating Biological Contactor (RBC) or a Submerged Aerobic Fixed Film Reactor (SAFF) before passing through a conical humus tank. Designed to be non-nitrifying, the plant does achieve some nitrification. Following intense investigations, the RBC was found to have expired and required considerable repair. However, due to the unit’s age, spares were unavailable. Rather than remove the below-ground, concrete-encased unit and risk disturbing the scenic surroundings, engineers decided a more practical, and aesthetically-pleasing solution would be to replace the malfunctioning equipment inside. Process calculations were run and a design was developed to manufacture two, self-contained SAFF modules equal to 18m3 total media volume. 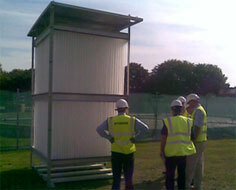 The units were constructed off-site before being lifted into the prepared RBC body. Blowers were also replaced as part of the upgrade. These are now providing air for both sections of the plant and operating with more energy efficiency than previously. 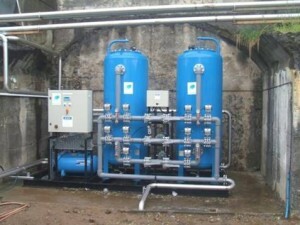 UK specialists in wastewater management, ATAC Solutions, who offer engineered solutions including biological treatment processes and wastewater treatment systems in the domestic, municipal and industrial markets, is to redevelop its quality management systems in order to deliver even higher levels of customer service. The company is to upgrade its existing ISO 9001 and ISO 14001 Certification – national standards in quality management and national environmental management, respectively – to ensure both meet the revised standard and receive British Assessment Bureau (BAB) accreditation. The updated procedures will be integrated with a health and safety management system which is designed to optimise working practices and staff training opportunities across all areas of the business. 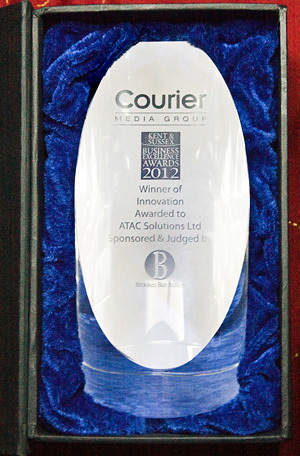 Since its formation in 2007, ATAC Solutions has grown to become one of the leading environmental engineering companies in the UK. The company, based in Maidstone, Kent, offers turnkey packages in wastewater treatment service, which include everything from repairs and maintenance on a wide range of pumping systems, to drain-jetting, product sales and equipment hire. As well as upgrading its quality management systems, ATAC Solutions is also introducing a P-IMS online application system which will enable the company’s staff to gain instant access to management documentation. This will prove particularly useful for site engineers to validate training or equipment certification. ATAC Solutions, one of the UK’s leading wastewater solutions and wastewater management companies, has appointed Nigel Palmer as Head of Process Engineering. Congratulations to ATAC Solutions on achieving ISO 9001:2008 certification recently, we’re now part of an exclusive club! By implementing a management standard, ATAC Solutions proved it is a well-run organisation that is committed to continuous improvement. It won’t only help with winning new business, it will help our organisation retain existing clients too. 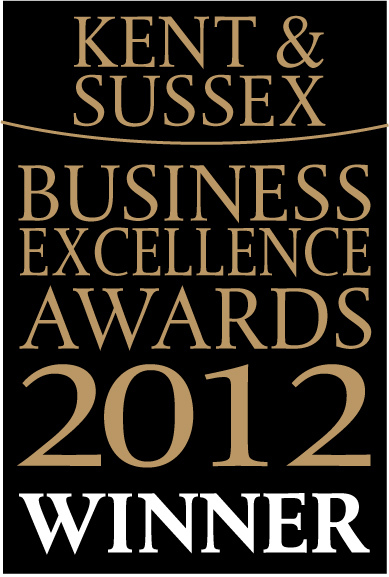 This Thursday, 22 November 2012, we have won the Innovation of the Year award at the Kent and Sussex Business awards. 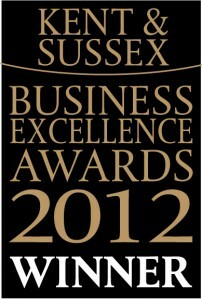 The award was issued for our SAF installed at the Charing site earlier this year. Thank you to the judges and our customers who made this possible! ATAC solutions are based in Maidstone, employing 12 members of staff, established in 2005. They specialize in Wastewater Solutions and Wastewater management. 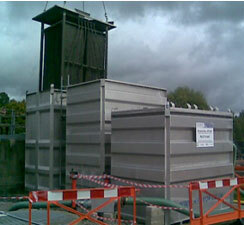 Operating in the domestic, municipal and industrial markets nationwide they offer engineered solutions that include Biological Treatment Processes, Wastewater Treatment Systems, Service and Maintenance of Wastewater Treatment Systems and Pumping Systems, Deployable Containerized Solutions, Vacuum Sewerage Collection and Process Design Consultancy. Rosemary Eve of Brookes Batchellor commented “This company has developed a product to provide clean water in a variety of environments, which is for example cost effective for local authorities in the UK and which may be adapted to save lives in crisis situations such as war or natural disaster anywhere in the world. It is simple and convenient to use and provides enormous benefits. We were very impressed with this entry”. ATAC Solutions are delighted to announce the agreement between ATAC Solutions Ltd and Filter Clear for the Spruce Filter media filters. we are happy to have another well engineered and innovative product to add to our growing process equipment portfolio. 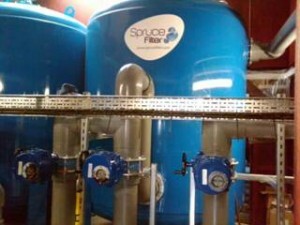 The Spruce Filter™ is an improved system and process for the elimination of suspended solids from water and wastewater on a commercially viable scale. terms of both speed and filtrate quality (Down to 0.2 micron). 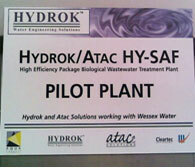 Hydrok ATAC HySAF trials in Wessex Water nearing completion. We are delighted to confirm that an extensive 9 month trial of our jointly developed HY-SAF unit is proceeding well, and on course for completion at the end of September. 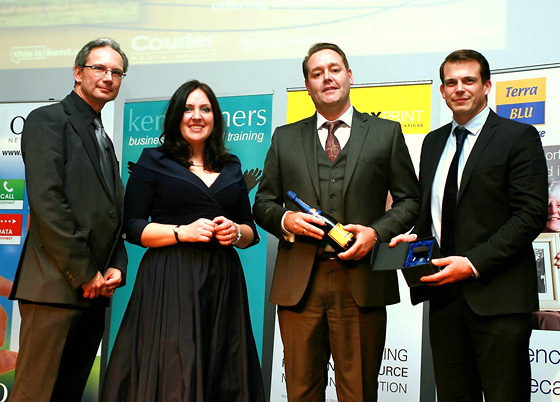 We thank Wessex Water for their invaluable help and involvement. An open day at Crewkerne STW is planned for 22nd and 23rd September. If you would like to attend, please contact Adam Colley, Sales Director ATAC Solutions.